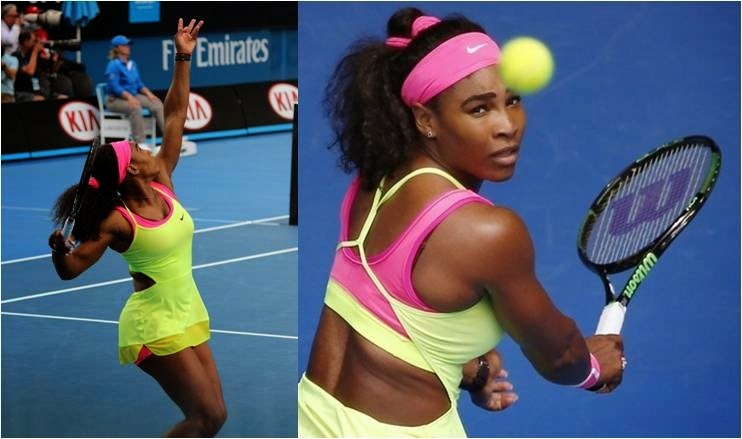 Nike went bold colors for its ladies kits down under at the 2015 Australian Open. The lucky ladies had their pick of pink and green outfits while battling it out in Melbourne. Petra Kvitova, Taylor Townsend, Sara Errani, and Roberta Vinci wore the same kit featuring a mix of cap sleeves and racer backs. Vika Azarenka rocked a similar design in head-to-toe lime green. Madison Keys and Genie Bouchard wore the same pink and green Maria Sharapova Collection separates. For the top Nike Divas, it was all about that back.